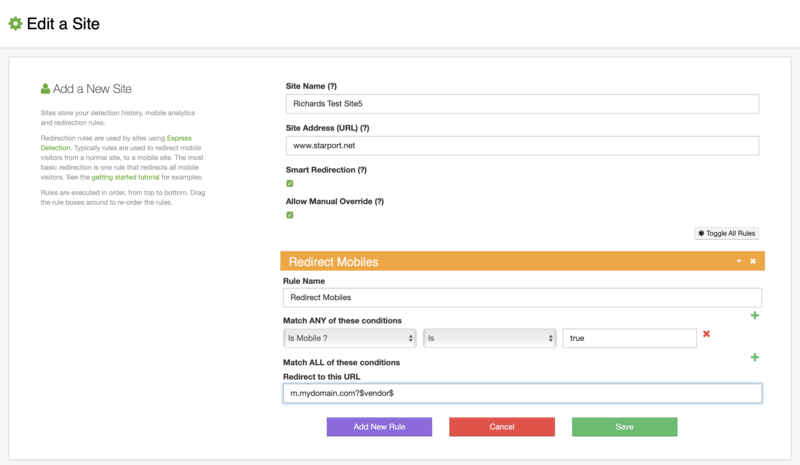 Variable substitution provides a simple and powerful way of creating custom redirects based on the source page and device detection results. You can preserve query parameters and include detection results in your redirects. Use them in your redirects like this.